I read yesterday about a woman, Lucy, who got married at the age of twenty. She wanted to make food for her husband. Therefore she bought magazine with a collection of good recipes in it, and gathered ingredients she would need. One evening her husband passed by the kitchen and saw a pan on a stove, and then he passed by the kitchen again. 'Lucy', he said, 'what is this'? She said, 'that's garlic.' She confirmed that recipe states fry garlic in the olive oil. Then he explained to her, in a very gentle way, that she should peel and brake up the entire bulb before frying garlic cloves. 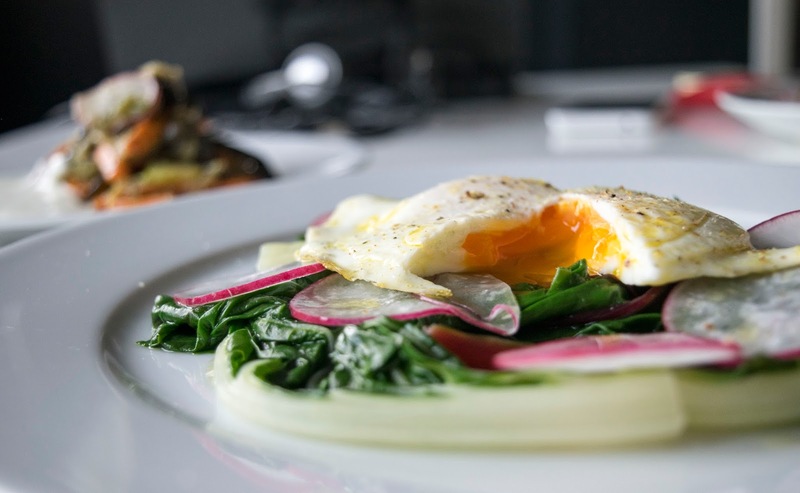 For this recipe you only need to know how to fry an egg and how to cook chard. Heat a tablespoon of oil over a medium heat, using a nonstick pan. Break an egg in pan and reduce the heat to low, very low. Fry slowly until whites are set but the yolk is still runny or thickened but not hard. Place another pan topped with water over a high heat. Clean chard by washing the leaves over a sink. When water is boiling, put chard leaves in it and literary cook for about 2-3 minutes. Drain the leaves and place them on a plate. Season with olive oil and salt. 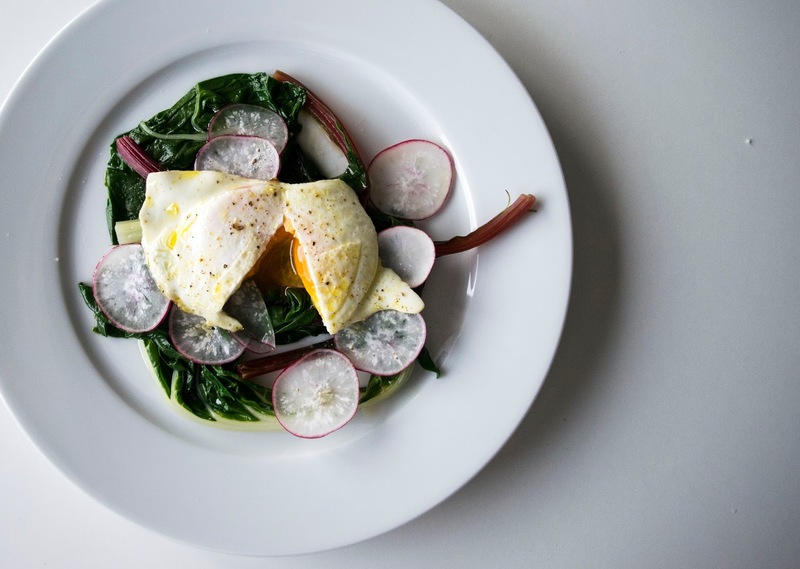 Place thin slices of radishes and fried egg on top. Season again with salt and pepper to taste. 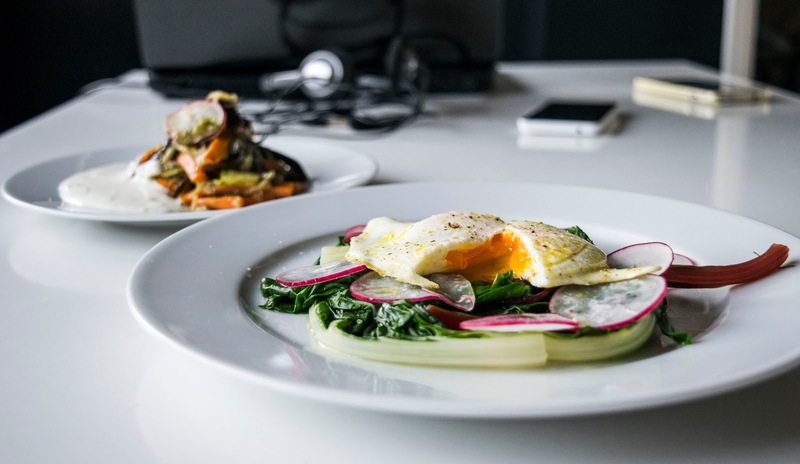 There is no need to be a food pro to cook this perfect meal!